KNet delivers best in class Cisco solutions through their partnered networks; we deliver Unified Communication solutions to organisations bringing tier-one technology and collaboration-enabled deployments as either a hosted or onsite deployment. Migration to IP telephony delivers a new wave of value to organisations of all sizes. By consolidating communication and data networks onto a single IP network, reduced costs of communications, optimised network capacity, and a foundation for unified communications delivers dramatic new flexibility and agility without large capital outlays. Cisco IP Handsets: Industry leading Cisco range handsets mean your requirements are met from a small scale single-point solution to a complex communication network. All Cisco handsets are designed for simple, intuitive functioning to make communications hassle free. Mobile Access: Unified Communications open up a new era of collaboration between Apple, Android, Windows, Blackberry or Symbian mobile devices. Make mobile devices extensions of the corporate network so mobile workers can be productive anywhere. See who you're talking to: With a simple and intuitive phone interface, you can make and receive video calls on your Cisco handset. In today’s technology driven world, video conferencing and visual aids enhance interactions, build relationships and provide a more human look and feel to business everywhere. * Video supported on selected models only. Desktop Communication: Unified Communications merges your corporate communications with your desktop environment. Integration with desktop toolsets delivers powerful streamlining and enhanced functionality to the business environment. 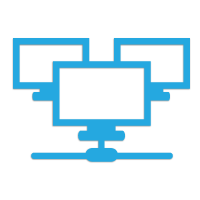 Desktop Presence & IM: Quickly gain knowledge of colleague’s availability through their desktop presence and, with this feature, maintain rapid information access through instant messaging or content retrieval for live conferencing. Valuable Standard Features: Standard call features on all Cisco IP Handsets include: Speakerphone, Directory, Hold/Park/Transfer, Self-Service Portal, Music on Hold, PoE Device Support, Speed Dials, Voicemail to Email and Integrated Network Switch. Cradle-To-Grave Management: KNet provides full life-cycle support for all products we provide to your business. We deliver across your entire interaction on Telephony Management, Implementation, Maintenance and Support for integration, giving you the ability to focus on core business. Reach and Capability: Unified Communications delivered over IP Telephony provides a dramatic boost to, streamlining and speeding up business telecom requirements. Disaster Recovery & Availability: With our proven capacity to deliver five 9’s of availability (99.999% uptime) your transactions are insured with geographic redundancy protocols to ensure highest level service and recovery. Cost Management: Unified communications deliver a lower cost of ownership with single point management, enabling you to see a positive return on investment in a shorter time period.